Let’s address the absolutely ridiculous idea that fat makes you fat. If fat made people fat, wouldn’t anyone who ever consumed lots of extra virgin olive oil (like in the traditional Mediterranean diet) be morbidly obese? Or what about the Inuit, who consumed a very high fat, low carbohydrate diet? Using this logic, they would have been larger than anyone in the United States today, despite current obesity rates being as high as they are. By the author’s own words, around 17% of total fat in this “diet” was trans fat (!). They then go on to state that “this diet was used because of the more pronounced obesity it has produced in rats in our laboratory than have several commercial high fat diets.” Does anyone else see the problem here? They know, going into the study, that by using this monstrosity of a “diet,” the rats (who aren’t humans, by the way) will get obese. So, what exactly is the point of their study? To bring the ridiculous nature of this problem to an even further front, if fat was bad, why would we be supplementing with fish oil (omega-3 fatty acids) every day? 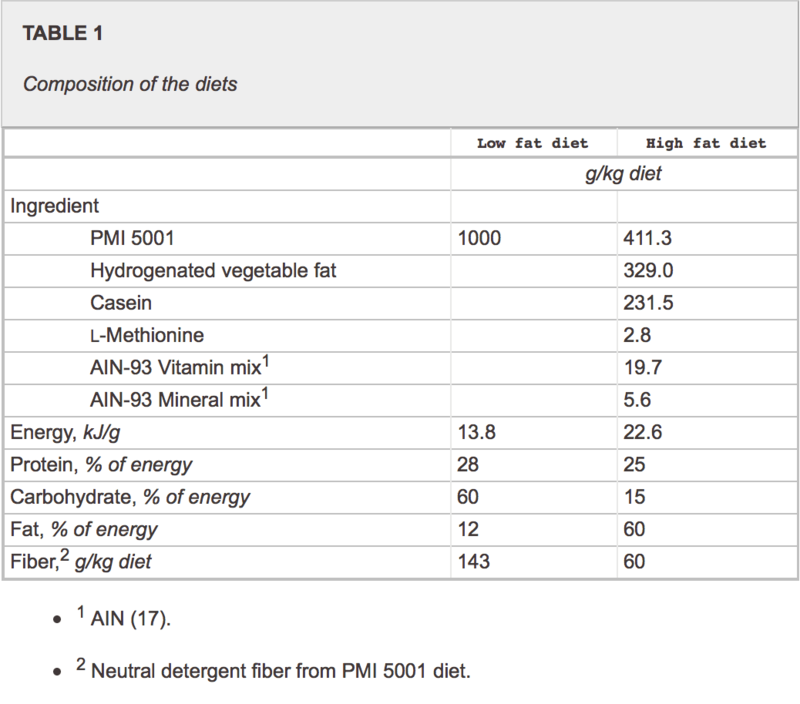 Why would proponents of these low fat diets tell us to eat nuts, which are loaded with fat? Perhaps it’s because the problem is the kind of fat, not the actual fat. Furthermore, there are essential fats. These are ones that your body cannot produce endogenously. However, there are no essential carbohydrates. Surprised? I’ve used but 3 small examples in this argument today and yet I think it is blatantly obvious that anyone touting the benefits of a low fat diet is beyond confused and is, quite frankly, scientifically wrong. Those not consuming fats quickly run into a multitude of problems, especially cognitive. Too many carbohydrates in the diet cause a multitude of problems and they also make it very easy to over-consume calories, resulting in obesity.